Once again, the Swans have spent the spring flirting with relegation. We may have defied the FA Cup odds by reaching the last eight, but at the time of writing, it is still unclear whether or not we will survive in the top flight for another season. The only thing for certain, is that it’s going to be yet another nail-biting end of season ride for the Liberty Stadium faithful. With the heady heights of 2014-15’s eighth-place finish under Garry Monk now just a fading memory, we are staring, once again, into the relegation abyss. But just how much would relegation cost the Swans financially, and what compensation is there for clubs that make the drop? For starters, every place in the Premier League is worth £1.9m. So, finishing bottom wins you just £1.9m, while surviving in fourth from bottom place nets you an extra £5.7m. Every place above that would net the club an additional £1.9m. Money which is not to be sniffed at in a league seemingly dominated by teams with plenty of it to spend. Gate receipts are also an issue, with the average Premier League attendance standing at 35,805, compared to just 20,199 in the Championship. 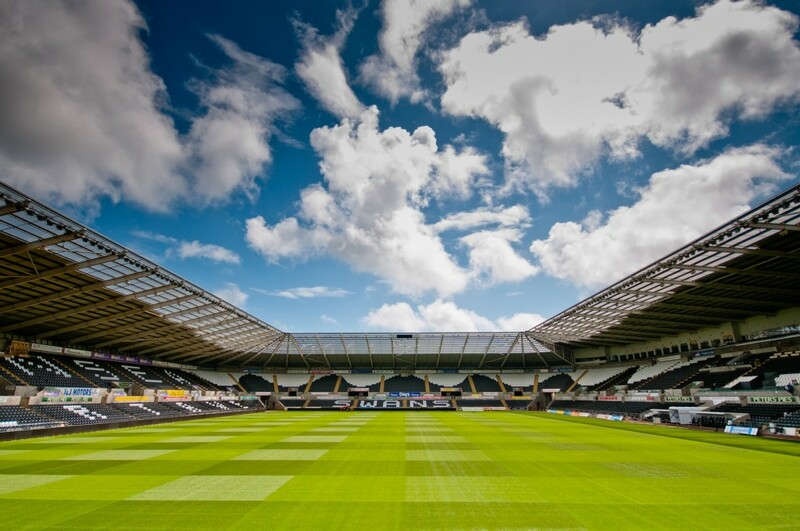 While Swansea will be insulated from this a little, with Liberty Stadium only holding 21,088 in the first place, a drop into the Championship could seriously jeopardise income for the club. However, gate receipts and cash from winnings both pale into insignificance when compared to the biggest earner of them all: TV money. In the latest TV deal, all premier league clubs were awarded £84.4m each, with a further ‘facility fee’ of £13.6m for up to ten games, plus an extra £940,000 for any additional games. The average TV income per Premier League club is a whopping £124.59million. If a team drops to the Championship, the most it can expect from the TV honeypot is around £5m-£6m. This lower exposure in the second tier also has an impact on sponsorship deals, with companies naturally prepared to pay far less to be associated with a Championship club than they are to attract the worldwide following of the top flight. With everything from stands to shirts now sold to the highest bidder, sponsorship money is a big deal for even the biggest clubs. With such a disparity between the two leagues, it is hardly surprising that the Championship play-off final is often described as the richest game in world football. Last season’s final between Huddersfield Town and Reading – which the Terriers won on penalties to secure promotion – was estimated to be worth £170m. To soften the financial blow of relegation, clubs are awarded ‘parachute payments’. This is a three-year deal, based on the club’s final earnings in the Premier League. Under the current arrangements, relegated clubs receive 55% of their final earnings in their first season and 45% in their second. As long as they haven’t come straight back down after a single season, there is a further payment of 20% in their third year. Last year’s unfortunate trio, Hull City, Middlesbrough and Sunderland, each received a payout of at least £40m, and the Swans could look forward to a similar sum to cushion the blow – should the worst happen. This is designed to compensate teams for having a Premier League wage bill, but with only a Championship income to pay it with. It might seem fair enough, but parachute payments are not without controversy. 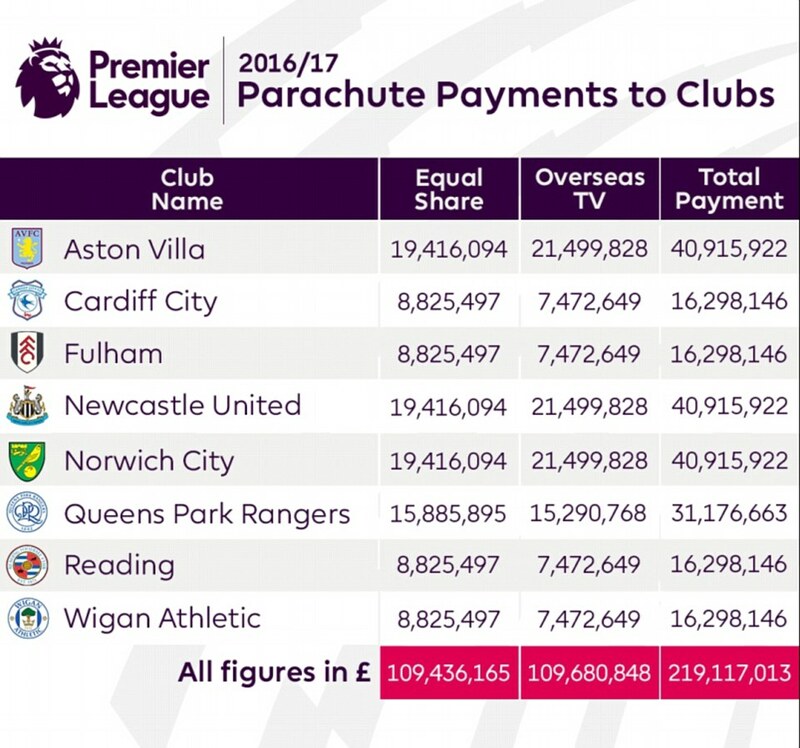 One study by Sheffield Hallam University estimated that parachute payments were worth the equivalent of five points in the Championship and seriously biased the league in favour of former top flight clubs. Long-standing Championship sides simply can’t compete with this level of income, and many have cried foul at the payments. Of course, as Sunderland have proved with their second straight relegation, parachute payments don’t always work. That said, with more than £25m to come their way in 2018-19, they will dwarf the budgets of most of their smaller League One rivals. Hopefully, of course, all this will be academic, and the Swans will live to fly another season with the big boys. But it is good to know that there is some compensation if we do face the drop, as who knows how useful that cash could be in getting us back up again should the unthinkable happen.